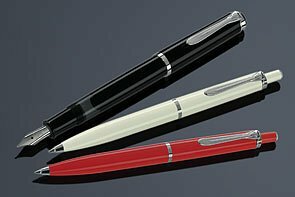 The Pelikan M205 series of fountain pens are traditional writing instruments with first-class appearance. They are made of high-quality material, meticulously crafted in Germany with silver fittings and Pelikan clip. It features the classic plunger mechanism to fill from bottled ink only, a stainless steel nib, and a transparent ink tank. Fine point.